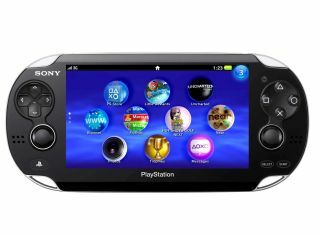 PS Vita to stream PlayStation 3 games? The PlayStation Vita is set to have a remote play feature which will allow users to play all PlayStation 3 games through the handheld. This is according to Eurogamer, which is reporting that an upcoming firmware update to the PS3 will unlock this feature and open the handheld up to remote gaming via a PlayStation 3 console. There are a few caveats to the remote play functionality, however, and they have to do with the screen resolution. According to reports, you will only be able to play the games in PSP resolution which is just 480 x 272. The PS Vita will then upscale the content in real-time to match the resolution of its screen. We're not quite sure how good the quality of this will be, considering the PS Vita's screen resolution is double that at 960 x 544. There's been no word from Sony whether the PS Vita will have this functionality but it does make a lot of sense. The PSP has remote play, but the games you can play from it on the PSN are limited to PS1 games and some Network titles. For remote play to work properly on the PS Vita, Sony will have to get developers on board. At the moment, this functionality is available through SDK for games but many devs choose to disable it. It is also thought that the PS Vita could well be used as a second controller for the PS3 – which would mean the handheld could be used the same way as the upcoming tablet accessory for the Wii U will be used. As remote play is something that's already implemented in the PSP, we reckon it's very likely it will end up in the PS Vita.